It’s preschool enrollment time around these parts. I had no idea because I live under a rock and I constantly forget that Annabel isn’t five months old. I mean, I know she isn’t, a five month old wouldn’t roll her eyes at me or say NO! to every question, but you know what I’m saying. She’s still my widdle baybee. Anyway, Mike and I have been talking about it and we’ve decided to start her when she’s three and a half, which means I have a year until my friend Tara reminds me again that it’s preschool enrollment time. Mark your calendar please, Tara. My child’s entire educational career is depending on you. The one thing we definitely want to do in the interim is get Annie signed up for some different classes. I’ve wanted to do this since we moved here, but wanting and doing are two different things and I’m a slacker. I was reminded of this when I got the local parks and rec community classes schedule in the mail a few days ago. I’ve been looking at all the options, and there are a lot, including many with the suffix of, “with mommy!” Like, “learn to paint with mommy!” or, “introduction to preschool with mommy!” or, “self-defense with mommy!” Kind of weird, but whatever. Some parent stick their kids in front of the TV. I stick mine in front of a mirror. If I could find a mirrored TV, life would be perfect. Anyway, of COURSE the local community center doesn’t HAVE a dance class for a two year old. Not even “dancing with mommy,” (which is probably good because many children would be harmed by watching me dance). So then I thought I’d put her in gymnastics…and the minimum age for that is three. Apparently there are tons of classes for kids 0-2, and then for three and up. Two year olds are being discriminated against! OK, there is a class where you go on a hike (with mommyyyyyy) but I stopped reading the description because HA the only hike I’m going on is to Topanga Plaza Mall (oy it’s such a hike!). This obviously isn’t the end of the world, there’s a local gymnastic place and I’m sure there are 187 dance places nearby. It would have been nice to pay community center prices, though. I just want her to try new things with other kids her age, and to learn to listen to adults other than the ones she’s related to and UGH I should just enroll her in preschool, shouldn’t I.
PS today is the last day to enter my $500 give away. You won’t be a stage mom, you will be a “Dance Mom”. Theres even a show about it. It’s base on the Abby Lee Dance studio and follows a group of little girl dancers and their crazy moms (more like Real Lives of Beverly Hills) and their ever crazier, overweight teacher, Abby Lee. yep…She’s got the moo-oo-oo-oo-oves like Jagger…so she don’t need no steekin’ dance class!! A lot of preschools have dance classes that come to the school during the day…two birds/one stone…and you dont have to dance! Sounds win-win! Did you give the gymnastics folks a call? Usually, 0-2 means they can take the class as long as they are under 3. They want to get your money for every year possible, they’d never skip over a year. Hmm. I would take 0-2 to mean two year olds, not that the day they turn two they no longer qualify for that class. Maybe you could call and ask? And yeah, most classes that you are thinking of begin at three, because a lot of kids won’t separate from the parent prior to that if they know the parent is nearby and the teachers aren’t trained to deal with that at most community centers. My thoughts exactly — 0-2 means 2 year olds! I have seen that show Dance Moms…Crrrraaaazy! I had Dallas in a dance class at 2 years old, and I remember it didn’t cost an arm and a leg either. They did a combo ballet, tumbling, and tap I think. I’m sure you’ll find something. Annie looks just adorable! Seriously?! What Dance instructor would NOT take your Annabel in that outfit?! If I were a Dance Teacher I’d request she come into class dressed like that every single time – just so delicious of a little girl!!! I put my daughter in ballet class when she was about 2 1/2 and even though it wasn’t a class for her age, the teacher said that if she liked it and could keep up, she could definitely take the class. My daughter ended up loving it and even though she is more an Elaine from Seinfeld type of dancer, they let her take the class and she’s been taking it ever since. Maybe you should just try a class even if it’s not her age range. To me, it looks like Annabel would totally get into it even if the kids are a year or so older because just from the pictures you can tell she has rhythm and knows how to move without getting all dizzy gillespie. in my experience, the 3-yr old dance classes usually require the child to be potty-trained. Dance classes for 2 year olds at dance studios – or “pre-dance” – are sooooooooooo stinking cute! Another good place to find out what kinds of classes all the cool 2 year olds go to is to check out a chi-chi kids boutique. Usually they have cards and flyers. Or a place that sells leotards and the like, as they have the cards and flyers too. Annie is so adorable! what about your local YMCA? Ours offers a lot of classes for Toddlers if you are close enough to one. I completely second this. Joining the Y was a great thing for our family — really affordable, includes a gym membership for mom and dad (and they have free child care while we’re working out), kids are learning to swim, boy has taken judo and girl has taken ballet, and we’ll be using them for summer camp, too. Annie is sooooooooo cute and obviously a born performer! I’m no help but I L-O-V-E that last photo. So adorable and so limber! Oh my word. If she got any cuter, it would be a crime!!! A CRIME I TELL YOU! Oh yes, 0-2 here means until you turn 3! I would call the park district to clarify, but the class age description is not 0-23 months. Classes listed as 0-2 years are for children who are two years old. Don’t delay — you can be a dance mom soon! I think she well be good at dancing. She is soooo adorable and what a ham. I could watch her for hours as she spends time singing in front of the mirror. I agree that last picture is sooooo stinken cute!! I have nothing to say, other than Annie looks SO CUTE in that little ballet outfit! And the pigtails! The pigtails make me SQUEE! Oh my god, that last picture is so cute it hurts me. She is adorable. I had the same problem. My daughter needs a class! I put her in Pee Wee Pom Pom. While I am sort of anti cheerleader, I can’t wait for her to take it! Annie is old enough- it’s for 2-3 year olds. Heather, we do preschool because I work full time outside the home, so obviously not completely by choice, but I have to say…I like the school. I mean, I like me better, and I wish I was home full time, but I like the school so much that even if I WAS at home full time, I would probably have her in for a few hours. There are schools with part time programs, so if you do lean in that direction, that might be a happy medium. I am talking like 9-12 two or three days a week. That being said, I think Annie would LOVE Music Together, which we have taken, if you can find one in your area. Completely worth the money. S is also very physical and we are experiencing the same dance/gymnastics issue, though…no love for 2 year olds that would totally rock a dance class. Bummer! It’s hard and I completely hear you. There is a world of difference between the under 2 set and the 2-3 year olds. I guess that the 0-2 would include those up to 3 BUT those 2.5 year olds are so much bigger than the widdle baybees and if they are anything like my kids then there is a serious danger of them squashing the little ones. Two cents: call about the o – 2 classes, asap, before they fill up. Most dance schools will probably require her to be potty trained, and maybe in the fall, when they start their new years, she will be. Also, look at your churches for mother’s day out programs. I live in a small town and we had 2 churches with mother’s day out. My daughter went to one for a couple of years before nursery school and loved it. Annies is so smart and advanced, I bet that she will be more than ready for some sort of preschool a couple of mornings a week in the fall. Oh, does anyone have mommy and me swim classes? When teaching our 3 and 4 year olds to swim, my best friend and I accidentally taught her 18 month old to swim too. She was not going to be left out of the action, and she just started swimming to us like the others. As I recall, 20 years later, we were very wet that summer, with all their splashing. Have you tried Gymboree or mygym? Their classes are great! The first class is free, so it might be worth a try. We’ve been going since my oldest was 6 months and we love it! Songs, dancing, tumbling, imaginative play and the best part, a guaranteed super long nap after! Winning!! My daughter went to pre-school at 3 because she saw her older brother going to school and kept asking to go to school. I put her 2x’s a week. At 4 I sent her 3x’s a week and then off to Kinder. At 5 she started gymnastics and did that until she was 10. I would recommend gymboree classes for Annie until she’s able to do other activities for 3 yr olds. I did Music Together with my first 3 kids (and the baby will get to go when he’s a little older). They are multi age classes – from babies to 4 year olds – and a caregiver must accompany each child. There is a lot of singing and dancing and instrument playing and parents are expected to sing, too, to model for their children. We love those classes! Annie is SUPER adorable in that purple tutu and looks like a future dancer for sure! My Sophie, who’s three, goes to day school four days a week since that’s when I work. The nice thing about it once she turned two and three and moved into the preschool class was all the activity classes they have as part of their day. On Monday, they have art and Spanish. On Monday, Tuesday, and Thursday, they have a music class. On Wednesday, they have a little Chapel service in the morning (it’s a church school and this is nice because we don’t go to church regularly at the moment!) and in the afternoon she takes a ballet and tap class. The ballet and tap class is the only thing that is an extra fee, everything else is included as part of the normal schedule. The school also offers soccer and karate, but we take her to soccer somewhere else on Saturday mornings. I’m glad that if I have to leave her somewhere while I work at least she’s getting to do lots of fun stuff with her friends! If you wait to put Annie into preschool next year, I’m sure you can find a little pre-dance class for two-year-olds somewhere at a dance studio! Some of the dance studios here offer that during daytime hours! I can’t wait to see all the dance-related pictures that will come out of that!!! As long as she’s still two she should still be able to do the 0-2 classes I would think and for the 3 and up classes if they are a “mature” 2 or are potty trained earlier, they sometimes bend the rules to let them in before 3, so just keep that in mind as Annie develops throughout this year. Preschool for a few hours, a few days week might be a good place to start if you can’t find very many classes. I was so nervous to put my daughter in preschool but the social skills and learning skills she is experiencing is so worth it. Maybe check with you local YMCA too for classes. They might have a swimming class for both moms and toddlers or dance for Annie. The pigtails, the tutu, the striped legwarmers — it all adds up to one seriously cute dance outfit. Best of luck finding a class for Annie. I think she’ll love it! Get thee to a ballet studio, stat! My girls (youngest is as old as Annie) looooove ballet and 2-year-old ballet is so cute you might pass out from the awesomeness of it all. Annie will LOVE it! I have also found real ballet studios might charge a little more, but they have real dancers for teachers and not some 40-year-old park director who teaches art, mommy and me, ballet and karate all in the same morning. Specialization is sometimes a good thing. Our YMCA (porter ranch) has lots of classes for her age group…might be worth checking out your local Y. A dancing class would be great for Annie! I hope you can find something – I think it’d be perfect for her. Also, 3 1/2 sounds like a great age for starting preschool. I know I’m in the minority on this one, but I feel like kids should just be kids for as long as possible with out the school setting, ya know? Also also, I had to laugh a bit at “introduction to preschool”. Preschool is the introduction to kindergarten. . .so our kids need an introduction for an introduction? Ha! Annie’s rocking out already. She’ll be adorable in dance class. As if she isn’t adorable enough now. My daughter started Musical Theater classes at about age 2 and a half. Yep, singing, dancing and acting. My daughter enjoyed preschool (mommy’s day out so just 2 or 3 times a week) starting at 2 years old but my son did not. LOVE the pictures of her. My daughter turned 3 in December and because of her late birthday she misses the September cut off for most schools and activities that aren’t mommy and me type classes. She started a pre 3 school program 2 times mornings a week which she loves and Also started ballet classes at a local dance studio. It’s actually a 3-4 year old class but I called and they said because she was so close to turning 3 that I could try her out. She does well in that class she will have her first recital in June and even if she just gets on the stage and stands there I’m gonna be one proud mama. I have no real advice… well, except to say that I think 3 1/2 is a plenty soon enough for preschool… but I had to comment to say that these are absolutely my new most favorite pictures of someone else’s child ever! That girl is absolutely adorable!! That first photo is the epiphany of joyfulness! I wish everyone could just let themselves be THAT happy in any given moment. She really does look like such a joyful, happy little peanut. And yes, 2 year olds are discriminated against and I think unfairly as 3 was much more difficult than 2! 1) ohmagahhhh, she is too flippin adorable. 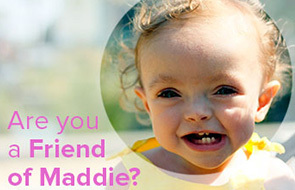 My 2.5 yo son loooves to watch Annie and Maddie’s video’s and look at their pictures, and I have a sneaky suspicion he’s starting to get a little crush on a certain dark-haired dancing queen…and 2) obviously I’m either an idiot, waaay behind the times, or a bad mom, but, what’s all the fuss over preschool? Isn’t kinda a glorified daycare? Sorry for being so ignorant..help? at that age we loved My Gym – I bet Annabel would love it as well… i know you weren’t necessarily asking – but I would definitely check it out! these are the BEST photos of Annie! Or any 2 year old girl! She is SOOOOOOO animated! It’s awesome! your photos are getting better and better – these are great! I’m with the other posters who say 0-2 includes the whole year up till they turn 3. It usually implies that it’s a “mom and me” class and diapers are okay. What’s hard is when you have a 3 year old in diapers or won’t separate. Here in Ontario, many children (including two of mine), start full time junior kindergarten when they are still 3, and seeing how smart Annie is, I think you should definately find a preschool before 3 1/2. Many times you can call during the year and just ask if they have spots open. People move, kids don’t cope, etc, so spots open up all the time. These are my favorite pictures of Annie! She is so adorable.